Global 6 Sigma offer Lean Six Sigma Training and Certification courses in: White Belt, Yellow Belt, Green Belt, Black Belt and Master Black Belt. We also offer Certification and Training courses in Geneva, Switzerland: Lean Six Sigma, Design for Six Sigma, Green Process Management and Minitab. Geneva has almost always topped the list of Swiss territories with the highest unemployment ratios, and the city boasts a joblessness ratio as high as 5.3 since last year. The canton is located in the Swiss region and has one of the highest unemployment rates currently in the whole country, which makes the outlook appear quite gloomy. Geneva’s unemployment climbed 5.3 percent from 2012 to 2013, which shows how competitive the hiring environment is within the city, especially for foreigners looking to settle. The Swiss state is not a welfare state with labor legislation like they have in France, which makes their adjustment to natural shocks in the unemployment ratios much easier. They manage their immigration policies in accordance with the domestic rate of unemployment. While this data suggests how hard it can be to get hired in a competitive environment such as the likes of Geneva, any hopeful candidate must not despair. An efficient training program is all you will need in making an impression and getting hired at practically any job you apply for. The Lean Six Sigma training is a doctrine that is implemented within many global organizations that enables the employees to perform much more efficiently within the workplace, along with equipping them with tools to handle large scale and difficult projects with ease. The lean 6 sigma training provides individuals with techniques and tools that will help them enhance and modify their work ethics and implement the best practices while performing any organizational tasks. A Lean 6 Sigma Training Certificate holder is much more capable of effectively working within a team than others, and when the opportunity presents itself, he or she is capable of exhibiting exceptional leadership and consultation skills. Depending on the level of efficiency that an individual possesses, a Lean 6 Sigma Training certificate holder is more than capable of taking any project, no matter how large or small, from the stages of its inception all the way to the end. The Lean Six Sigma Training program is more than just a certificate that perks up your resume; it is an entire methodology that can be implemented to simplify and organize any project. This methodology is called DMAIC, which stands for Define, Measure, Analyze, improve and Control. These steps can be used efficiently to take any task from its beginning and see it through till the end. If you are looking to relocate and get hired for the job of your dreams, the Lean 6 Sigma Training program can enable you to perform exceptionally better than your competitors so that you stand apart when it’s time to get hired. Business really is a pleasure in these offices with their prestigious address in a neo-classical-style building overlooking Lake Geneva. 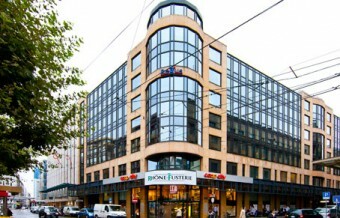 For convenience there are a lunch restaurant, a sandwich and coffee bar, and gym next to the centre. The prime location in the city centre has a wealth of restaurants and shops, including a profusion of top-of-the-range jewellery and watch retailers. There are comprehensive transport links, with Cornavin railway station just 10 minutes' walk and Cointrin Airport a mere 15-minute drive. 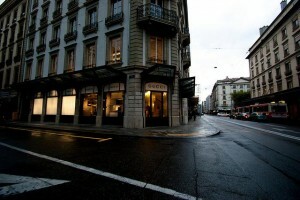 Geneva's economy is among the most prosperous in the world. It is mainly services-orientated, with financial institutions and private banking a long-established tradition. Watchmaking is another tradition, and the city is also well known for pharmaceutical, IT, construction and mining equipment companies and airlines. The Geneva Motor Show is a major date in the automotive industry calendar.